I had to modify the suet cage on the inside to accommodate a plastic cup to hold grape jelly for feeding Baltimore Orioles. It took the Orioles several days to figure out how to get through the outside cage. 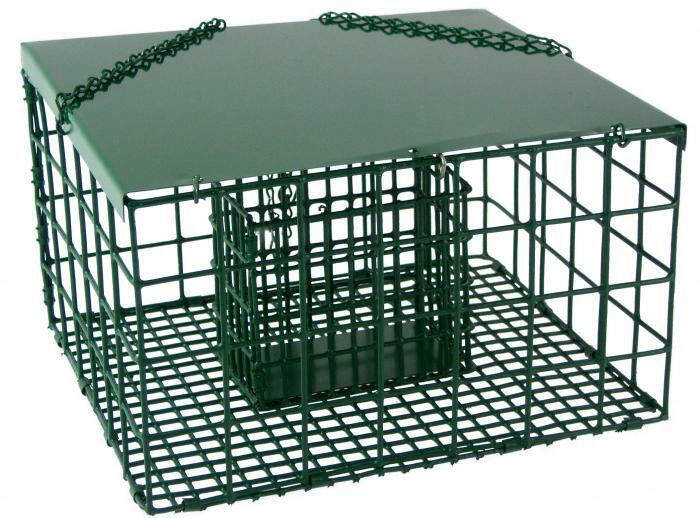 I would suggest development of a similar cage that serves the purpose of feeding the Orioles. We have robins and blackbirds that eat the grape jelly set out for the Orioles. Awesome!!! 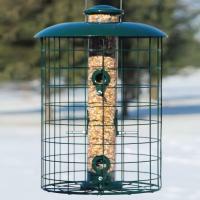 The squirrels can't get the suet, I am so pleased! I have had so much trouble with the squirrels this year that it isn't any fun watching the birds because the feed or suet is eaten by the squirrels. 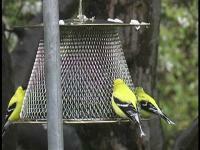 I've had to fill the feeders every other day. The squirrels are watching the birds eat but they can't. Thank you again!!! This really works! The squirrels and large birds don't bother it (although they've tried). 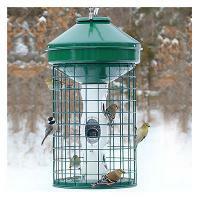 When I first got it, the small birds wouldn't use it. 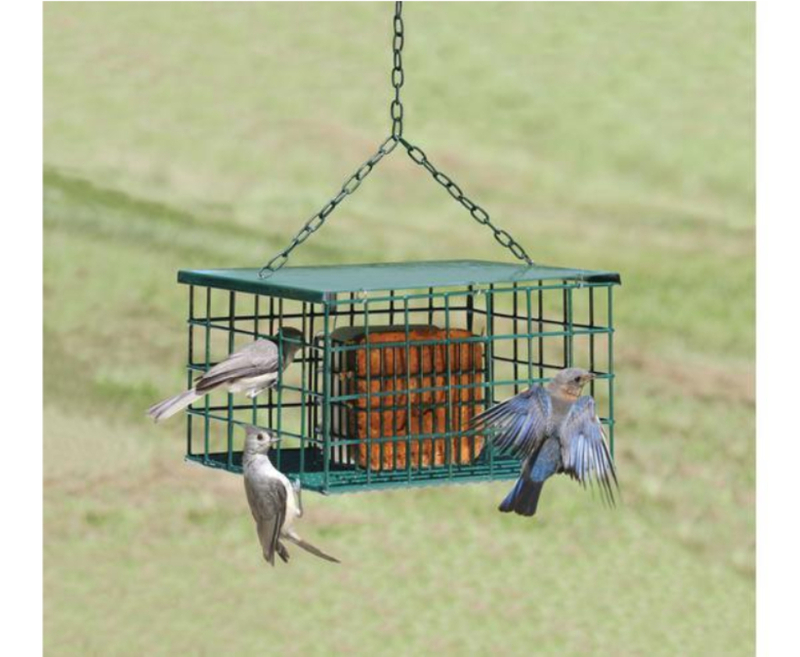 So I put it on the ground by the sunflower feeder and put pieces of bread close to the inside suet cage so they would have to go inside to feed. 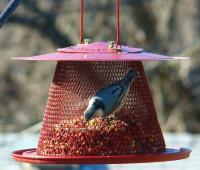 After two days, I stopped using the bread and hung the feeder. They've been using it ever since. The only reason I deducted a star is the chain is a little flimsy. The feeder keeps the squirrel out. The chain is weak, it broke after about a month. Chain was weak and poor quality. It broke as soon as it was hung. I replaced chain with a heavier quality.